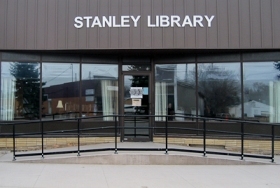 Stanley Public Library patrons now have access to 100 digital magazine titles through a service called Zinio, thanks to funding from the North Dakota State Library. With Zinio, patrons can check out the most current issues of favorite magazines and keep the issue as long as needed without having to return it. The Zinio collection can be accessed at library.nd.gov. Click on “Services for the Public,” then “Online Library Resources.” Zinio can be found under the “Magazines and Newspapers” heading. First-time users will need to set up a couple of accounts to get started. Visit the “Guides and Tutorials” page and follow the instructions for checking out and downloading free magazines. Patrons will need to follow instructions for the type of tablet being used. Zinio can also be found at rbdigital.com/northdakotastatend. Patrons can also check out and read free magazines on a computer by following the instructions on the Zinio Library Collection and Check-out Guide. Save money, save space and check out a digital magazine!